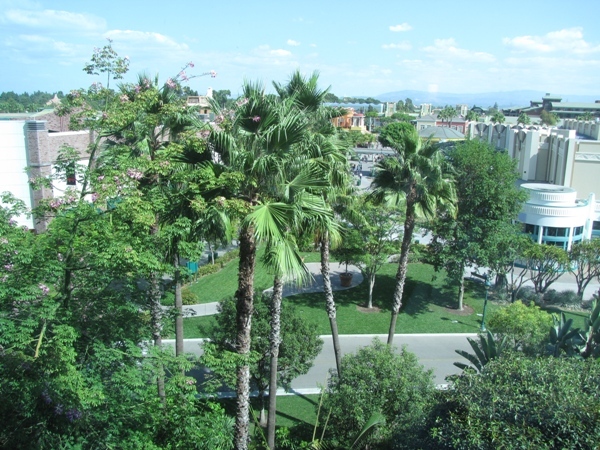 The Disneyland Hotel complex has been a part of the Disneyland Resort since the park first opened in 1955. Since that time the Hotel has undergone many expansions and renovations. In many ways the Hotel is nothing like what it was when it first opened, but keeping up with the times is no stranger for this perennial icon. Now, the Disneyland Hotel is again undergoing a massive refurbishment. This time the Hotel rooms are being completely updated both inside and outside. The pool and entertainment area between the Hotel towers are also being transformed. 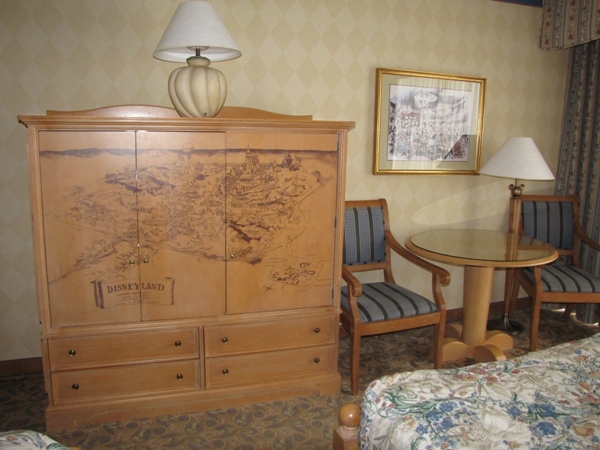 Let’s take a look at the old and new Disneyland Hotel rooms and the progress of the refurbishment. 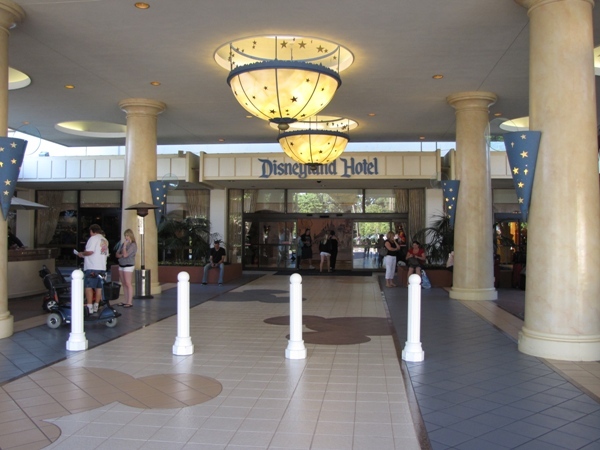 Image: Disneyland Hotel entrance from Downtown Disney. The first Disneyland Hotel was a modest “motel” by today’s standards, composed of five two-story buildings that originally held about 100 rooms. The Hotel soon expanded to 300 rooms. The Monorail was extended to the Hotel in 1961. The first 11-story tower (later to be called the Sierra Tower) opened in 1962. An extension to the original tower was added in 1966. That is the building that you see in most of the old pictures and brochures with the traditional “Disneyland Hotel” sign at the top (although when it opened the sign read “Hotel Disneyland”). The Marina Tower (the northern tower) opened in 1969 and the next year the marina area opened between the two towers. Restaurants, lounges, entertainment facilities and a convention center were added over the years. The Bonita Tower, which was adjacent to the Sierra Tower, opened in 1979 and completed what is now the 3 tower Disneyland Hotel complex. Image: Collage of pictures, located in the Disneyland Hotel Convention Center corridor. The last time I stayed at the Disneyland Hotel was back in the late 70’s. I stayed in the Sierra Tower. The rooms hadn’t changed much since they were originally built, except for some basic modernization. I don’t remember them as being particularly “deluxe”; they were just regular hotel-style rooms that happened to be right across the street from Disneyland. Each room had an outside sliding glass door which opened onto a very small “balcony” (not big enough for a chair, just enough to see outside). 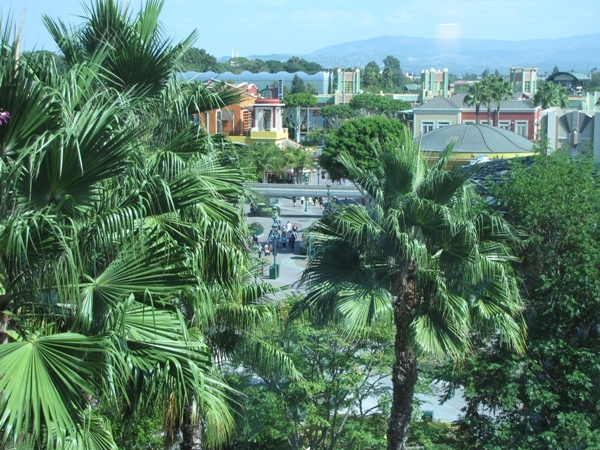 The fun part was not the rooms; it was all the entertainment around the Hotel and being so close to the park. I remember the pool with a sand beach, the Tiki torches all around the marina that would light at night, the Dancing Waters show in the back corner and the Monorail Lounge where you could get a drink in the afternoon and then hop on the Monorail to get back to the park. 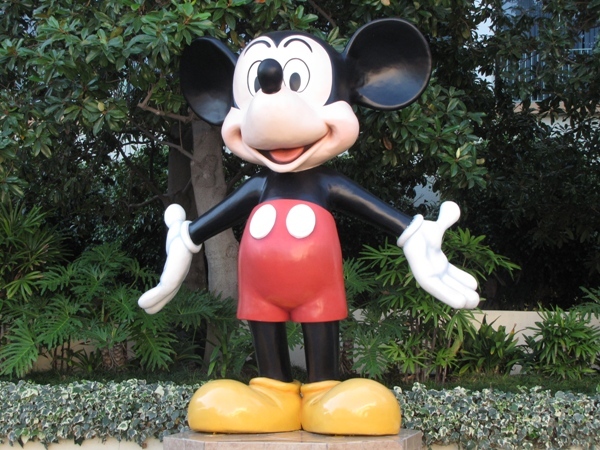 Image: Mickey Mouse greets all Disneyland Hotel guests. 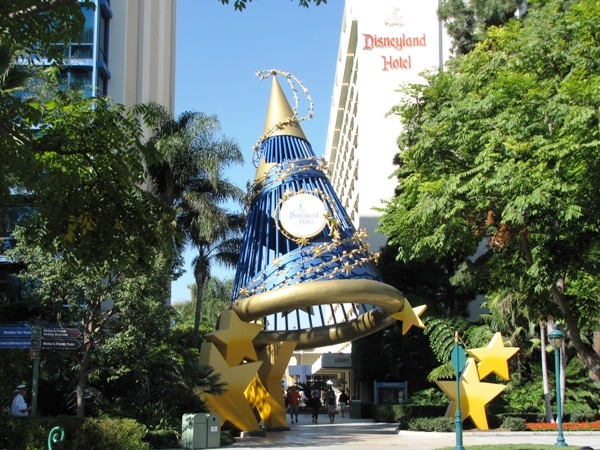 In 1999, the Disneyland Hotel property began a major renovation as part of the creation of Downtown Disney and California Adventure. The original 2-story hotel buildings were taken down, leaving about 1,000 total rooms. 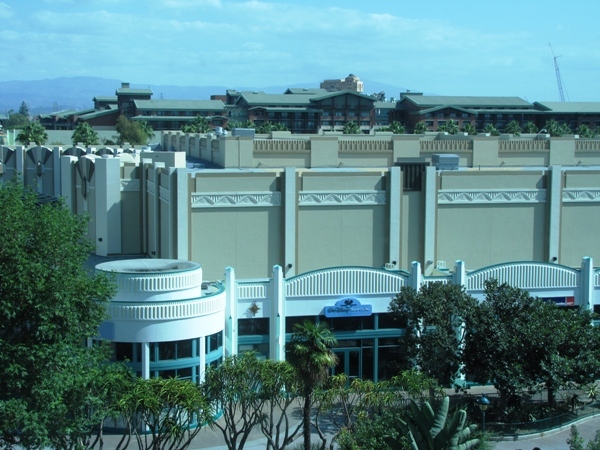 The shopping and restaurant areas between the towers and the Monorail were also demolished, as those facilities would be replaced with the new Downtown Disney shops and restaurants. I’m not sure if the rooms got any kind of uplift back then. Most reviews of the Hotel from that period said things like “expensive” and “small”. In 2007, the towers were renamed to the Magic (Marina), Dreams (Sierra) and Wonder (Bonita). 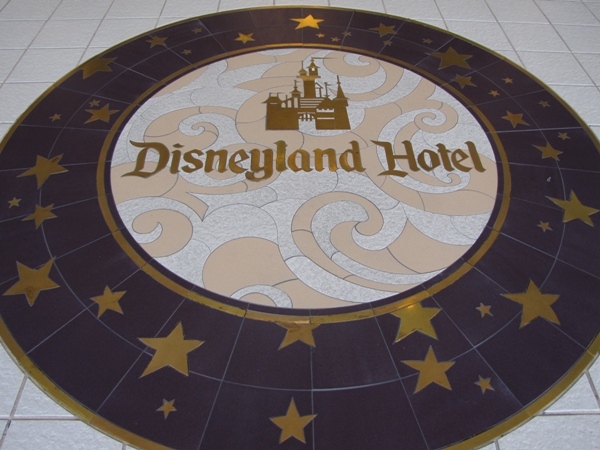 Then, in 2009, the Disneyland Hotel started the current refurbishment. This would finally update and upgrade the rooms and also give a major overhaul to the entertainment area between the towers. 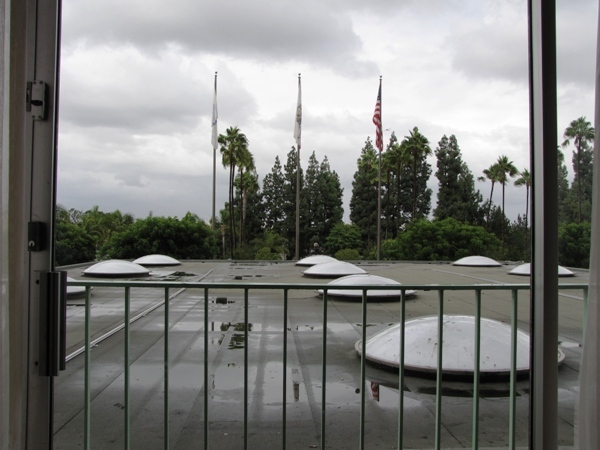 It was time for the hotel to live up to its name of being The Disneyland Hotel. Image: Disneyland Hotel main entrance. Ok, enough about history. Let’s get on with the pictures and comparisons. 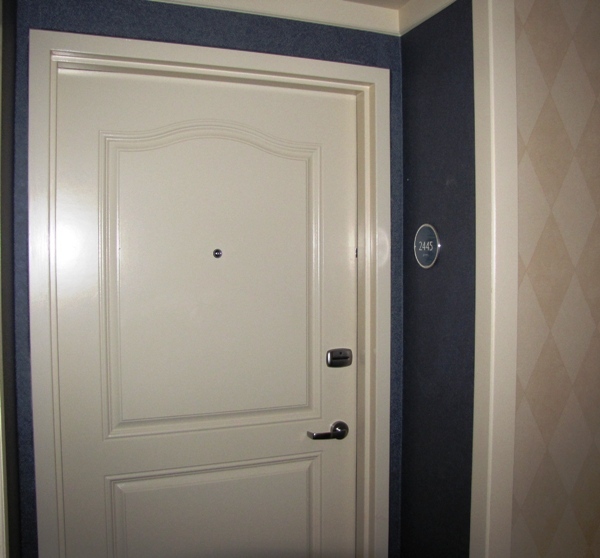 I stayed at the Disneyland Hotel about a month ago (October 2010) while attending Mickey’s Halloween Party. I was able to get last minute accommodations, but did not have a choice in room type. My reservation was for a “standard” room, which usually means two queen-size beds and a view of the parking lot or the city (not the marina or Downtown Disney). That was ok; anything to stay at the Hotel this time. I was very excited. 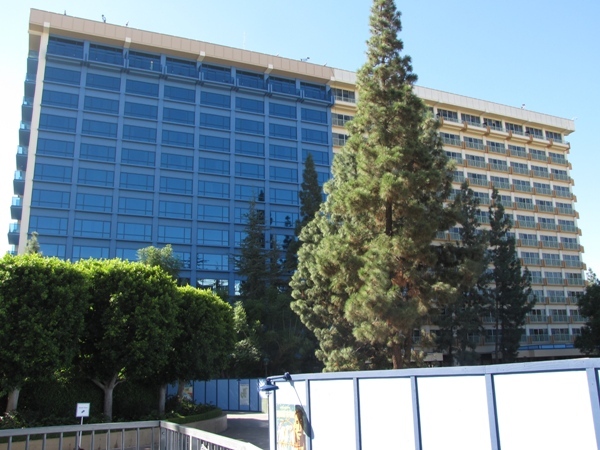 The refurbishment of the Disneyland Hotel includes some dramatic changes on the outside of the tower buildings. The old towers are traditional beige colored and you can clearly see the small balcony at each room. The new rooms have a striking blue exterior color; even the room’s window glass is tinted blue and matches very well. The balconies have been removed, but you get that back inside the room (more on that later). The new look is very modern. The Dreams Tower (closest to Downtown Disney) was converted first and that construction is now finished. The Magic Tower (the current main entrance) has not been started and will be the last tower to be refurbished. The Wonder Tower (on the south side) is being refurbished now and is a little more than half finished (at the time of this writing). It’s easy to tell how far the changes have gone as the rooms are converted in columns (rather than floor by floor). Image: Wonder Tower under refurbishment. When I checked in, I was assigned a room in the old Magic Tower in one of the non-converted rooms. I asked if any upgrades were available and was told that the next day I could transfer to one of the refurbished rooms in the Dreams Tower. This was perfect and allowed me to see the older rooms that I had remembered from long ago and also experience the new rooms. I want to give you a comparison of both the old and new rooms, so let me describe my experience and the changes item by item. I think the changes will be more apparent that way. I’ll describe the rooms as the “classic” (older) room and the “refurbished” (newer) room, rather than using the locations (as that will change as the upgrades continue). Everything begins at your door. Even the hallway carpet has been replaced. 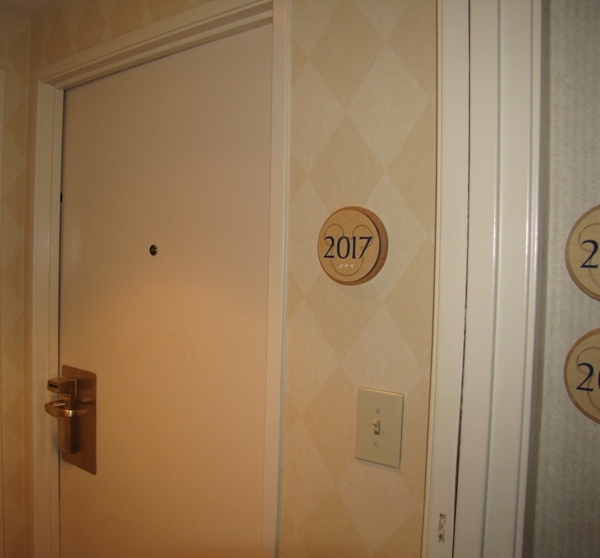 I love the classic Mickey room numbers, but the new room numbers are simple and go well with the silver and blue color scheme. Notice the upgraded door on the refurbished room. 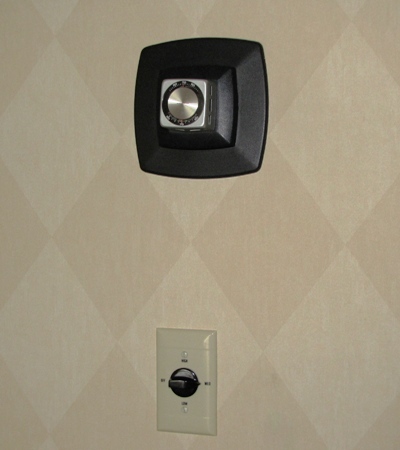 My first impression upon entering the “classic” room was that this was small. 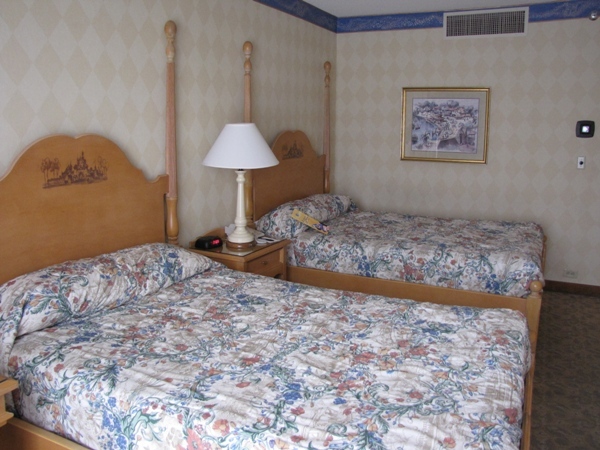 But when I did some research I found out that the room size is comparable to the deluxe resort rooms at Walt Disney World. I think what makes the rooms appear small is the size of the beds. These are not queen beds; these are clearly double beds. The other furnishing make the rooms appear smaller than it probably is, but actually it’s quite “homey”. Upon entering the new refurbished rooms your breath is taken away. It’s absolutely gorgeous. The beds appear enormous, the bedding lavish and the furnishings very modern. The color palate is excellent and I loved the dark wood with the blue fabrics and silver fixtures. The combinations make the room appear much bigger. I almost didn’t want to enter; I just wanted to take it all in. Also, when the balcony was removed, the extra space was added back to the interior of the refurbished room. Effectively, the room’s external window was pushed outward and this adds just enough additional space to make a difference. 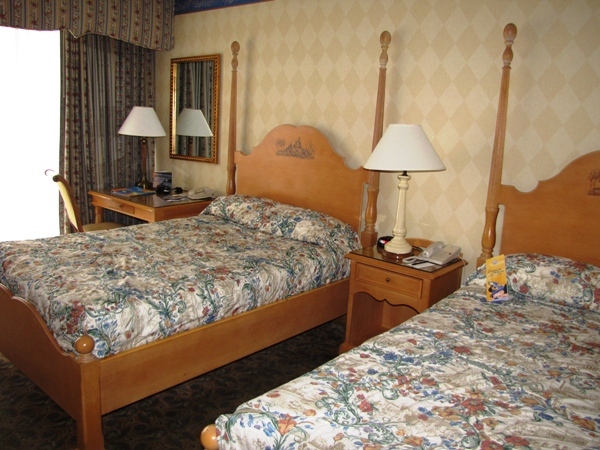 The old classic beds were unremarkable and pretty typical for older hotels. They weren’t uncomfortable (except for the size), but there is nothing special about them. The classic bedspreads go well with the old tan wood color. The simple headboard and bedposts, the older style furniture and the wallpaper all reminded me of a country inn. Actually, this was like spending the night in Grandma’s house. The refurbished room beds were incredibly comfortable. I’m not sure if they are the same ones used at the WDW deluxe resorts, but they felt very similar. These are queen beds and once under the covers I never wanted to leave. The headboards are padded leather and each one has a flexible reading light (nice touch). The dark wood tones complement the color scheme and make everything feel warm and accommodating. 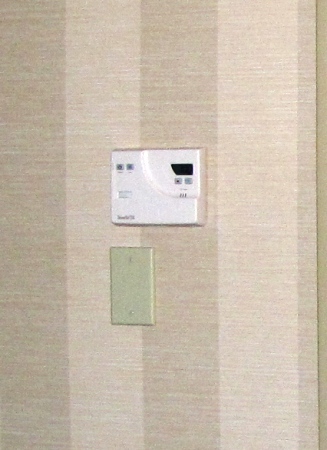 Lighting in the new rooms is adequate and well placed without that “artificial” color of some newer lamps. 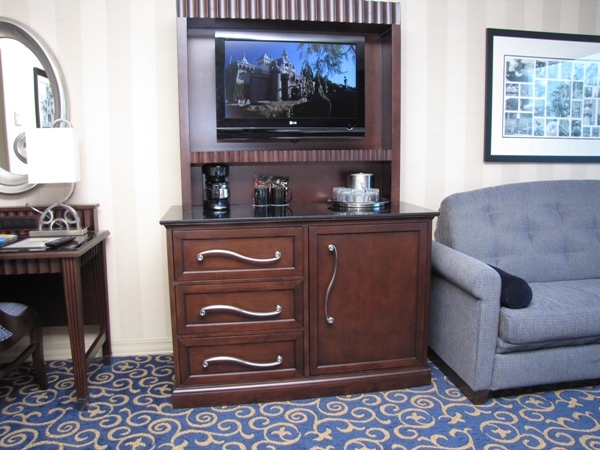 The classic room has a simple desk unit with a mirror and is next to the bed. The wired network connections are here and it made a good computer desk. It was simple and functional. The desk in my refurbished room was moved to the other wall (I’ll show that later). In its place was a floor lamp and big comfortable chair. 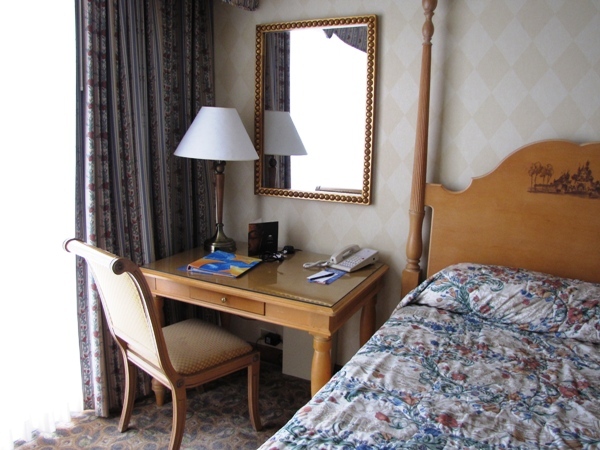 Some of the other refurbished rooms still have the desk by the window (it depends on the room layout). All the furnishing in the refurnished room has been upgraded. 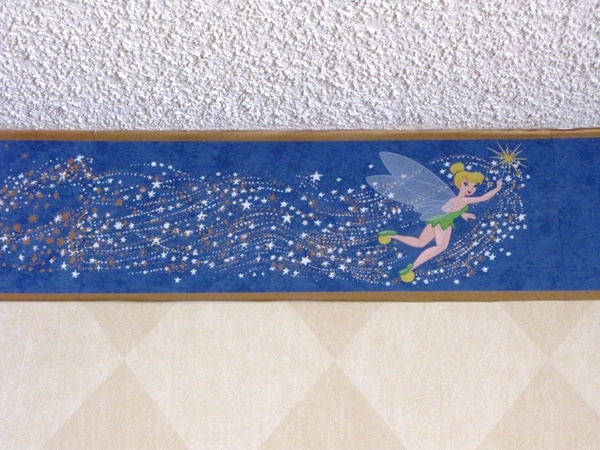 The upper part of the classic room’s wallpaper contains a strip depicting Tinker Bell and her “pixie dust”, which ran all around the room. At night, pixie dust “glowed in the dark”, which was kind of fun and added an unexpected surprise when the lights were turned off. 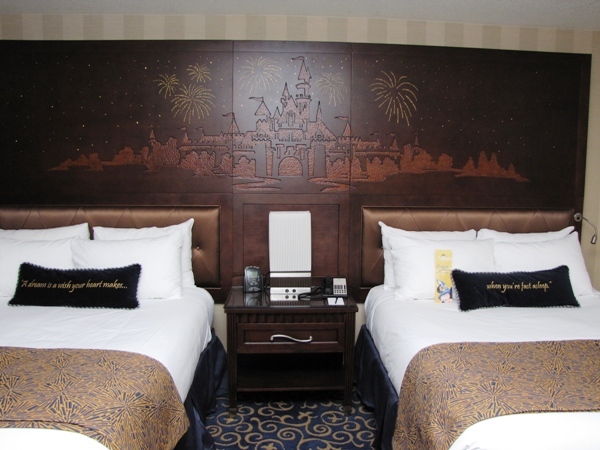 The most impressive part of the new refurbished room is the Sleeping Beauty Castle mural which is over both headboards. It’s made of sculpted leather and is just beautiful. In regular light you see the castle and the surrounding scenery. 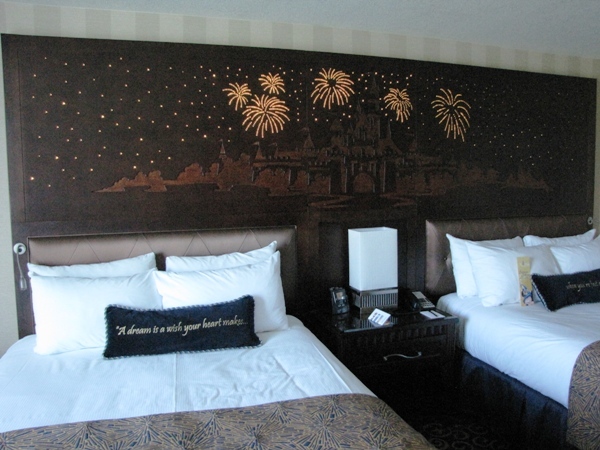 A special switch on the lamp between the beds plays a music box version of “A dream is a wish your heart makes” and the mural lights with twinkling fireworks and stars. Disney calls this the “Goodnight kiss” and it is wonderful. Every night I would turn most of the room lights off, and turn on the mural lights. It really made you feel magical. In the classic room, the television, some drawer storage and the refrigerator cabinet is provided by an old style armoire. 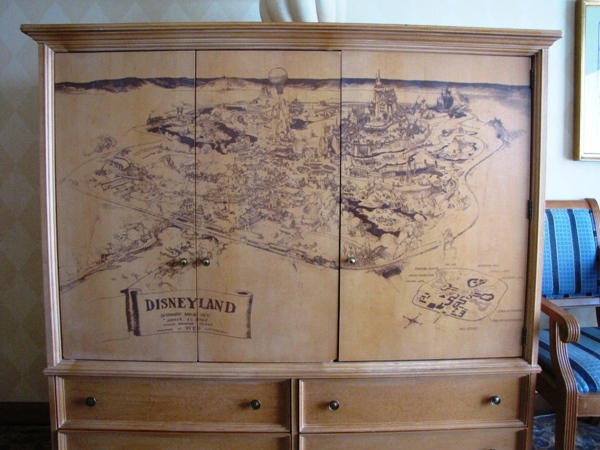 An old Disneyland map is reproduced on the armoire doors. (I believe this is the concept drawing that Walt used when he presented the Disneyland idea to the bankers.) Inside the classic armoire are some “classic” appliances. There isn’t any real shelf space to use in this unit. To the right is a regular room table and chairs. Note the Mickey head on the floor lamp. 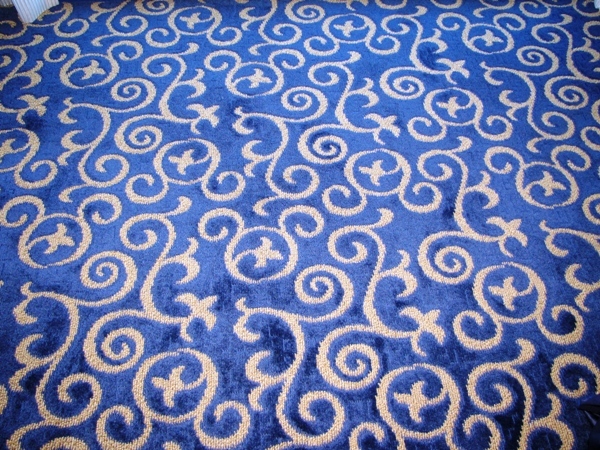 You can also see the old style carpet. 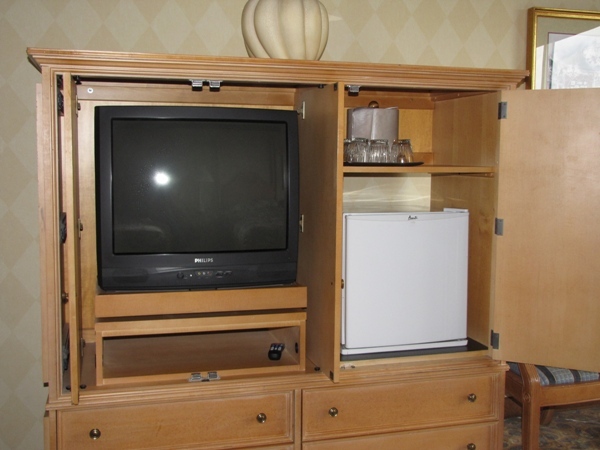 The refurbished room has an attractive dark wood armoire with silver handles that houses the HiDef LCD television, drawer storage and the refrigerator. There is ample shelf space for preparing drinks and snacks. There is a cool, soft light which shines from the top of the armoire upward to the ceiling. It makes a nice dispersed room light. The sofa was also a pull-out bed, but was comfortable to sit on. The updated curtains and carpet nicely match the color scheme and style. Note the hidden Mickey in the carpet. The desk unit was to the left of the armoire in my room. The desk was a little small if used as a computer table, but was adequate for most uses. The wired network connections are also at the desk. Image: New refurbished room. See the Hidden Mickey? 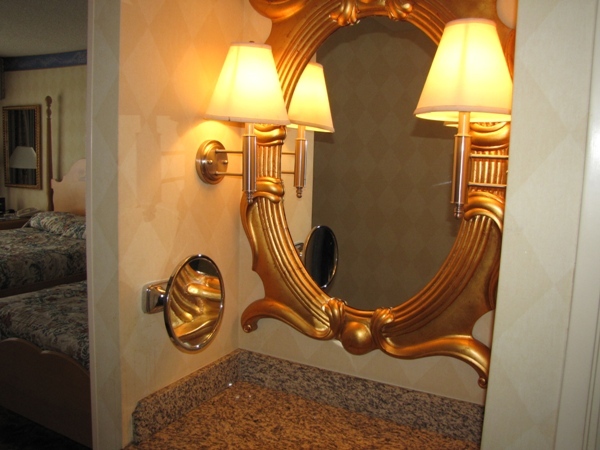 The classic room had a small vanity table and mirror just outside of the bathroom entrance. I’ve never seen this type of arrangement before and I’m not sure if other classic rooms put this in the same location. It is convenient if you need this kind of facility. Now, let’s talk about the room’s view. Of course, this will completely depend on the location of the room. Not only does the direction matter (from parking lot and “city” views to marina and Downtown Disney views), but also how high a floor you are on (the higher the better for seeing more). In my case, my “classic room” was a standard view on the second floor of the Magic Tower. 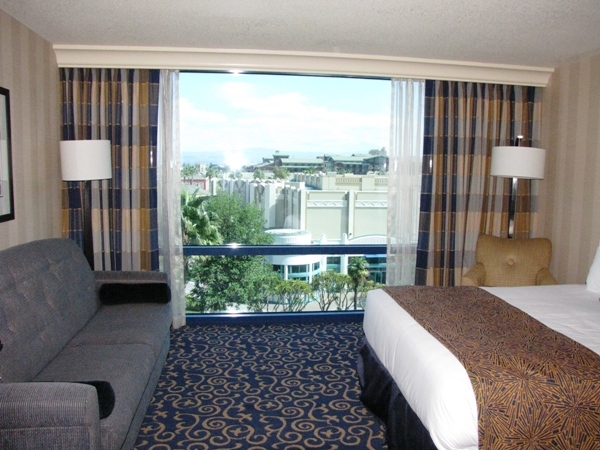 My “refurnished” room was on the 6th floor of the Dreams Tower facing Downtown Disney. I’ll let the pictures speak for themselves. Ok, maybe that wasn’t fair, but it was raining the day I arrived and it was a “standard” room. We won’t talk about the workmen who were drilling on the roof the next morning. The views from the Dreams Tower are amazing. The Disneyland fireworks would easily be seen from this location (if you could stand to be in your room during that time). The Grand Californian is just to the right, although I could not see California Adventure from this location (except the Tower of Terror rising in the far background). Every time I entered the room I opened the drapes wide to take in the view. It was magnificent and nighttime was just as wonderful. The bathroom of the classic room is simple and well themed with nice facilities. 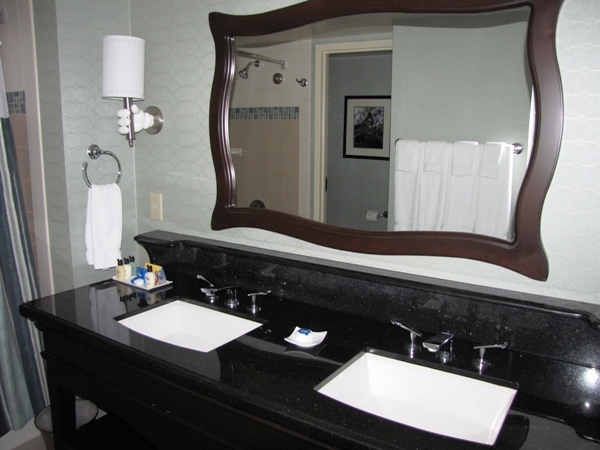 The sink area and mirror are a little small, but adequate. 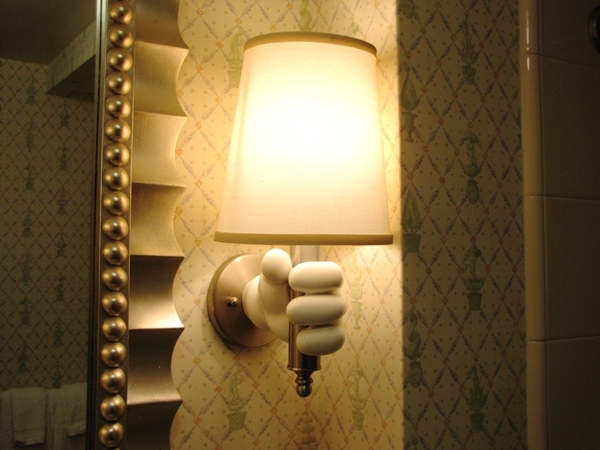 I love the Mickey hand lamps. 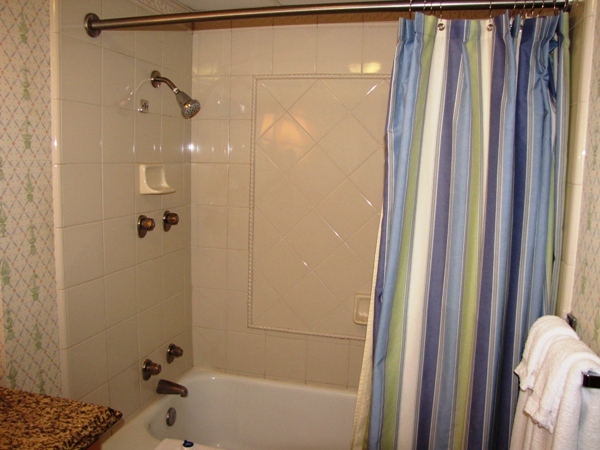 The shower was well maintained with nicely working fixtures (good water flow). 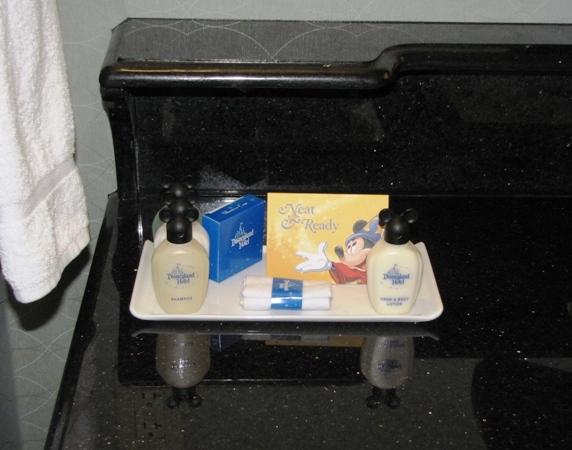 The Disneyland Hotel has its own brand of Mickey toiletries. I’m not sure what the brand is, but I love the bottles (silly huh?). The refurbished bathroom is as elegant as one would expect. The double sinks and sink area are large and spacious. 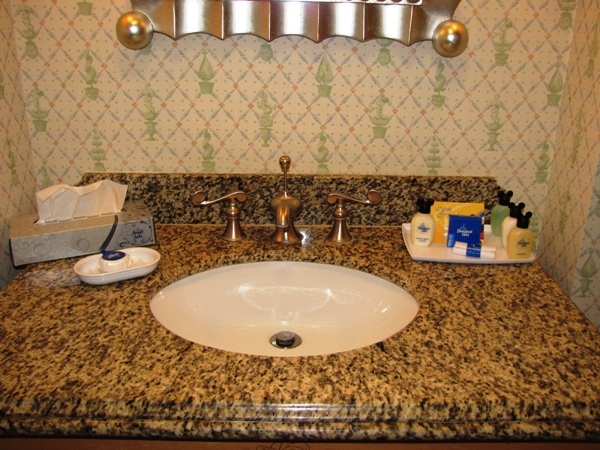 (My only complaint is that the mirror does not extend far enough to either side of the sinks.) There is plenty of room to store your own accessories including a shelf below the mirror and under the sinks. 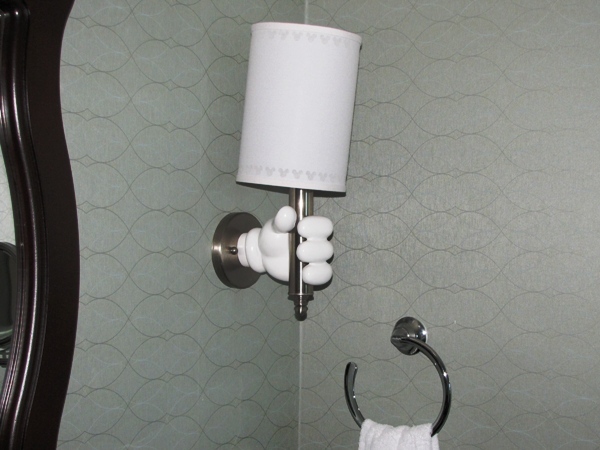 The Mickey hand lamps have returned with updated lampshades. The room is provided with plenty of towels (always nice). 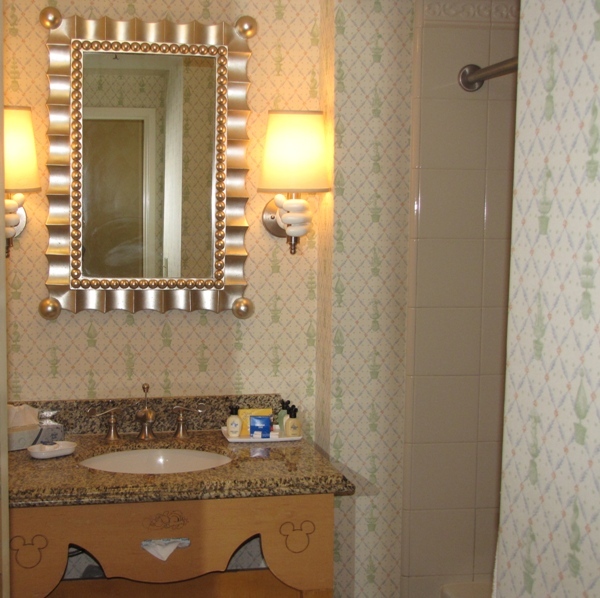 The same Mickey toiletries are in these rooms too. 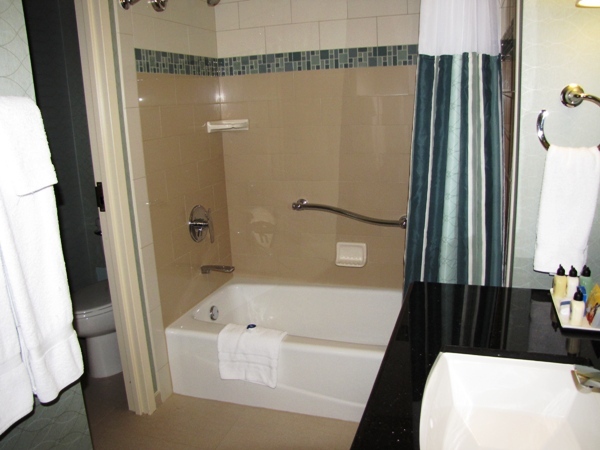 The bathtub and shower have nice fixtures with a tasteful and convenient grab bar. Even the environmental controls have been updated. 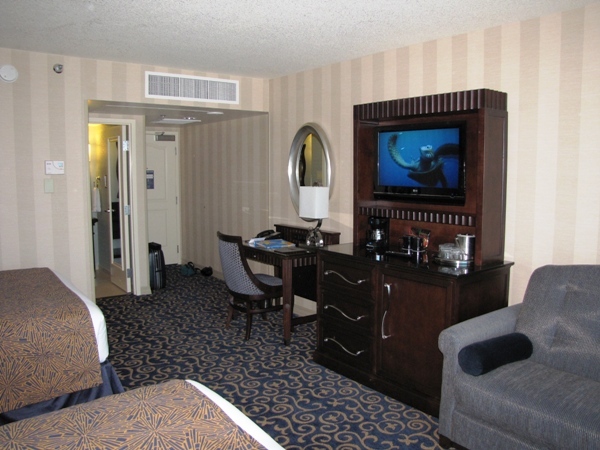 Overall, both rooms were immaculate and I was very pleased with the quality and cleanliness of each room I stayed in. Everything worked, which is always a plus. I don’t make much of a mess when I’m in a hotel room, but each day the housekeeping staff refreshed the room to “new” and provided replacement toiletries. There is no “turn down” service in the Disneyland Hotel (at least I didn’t get any), which is unlike the Grand Californian. Also there were no “towel animals”, mints or chocolates at night (I’m not sure what is normal). 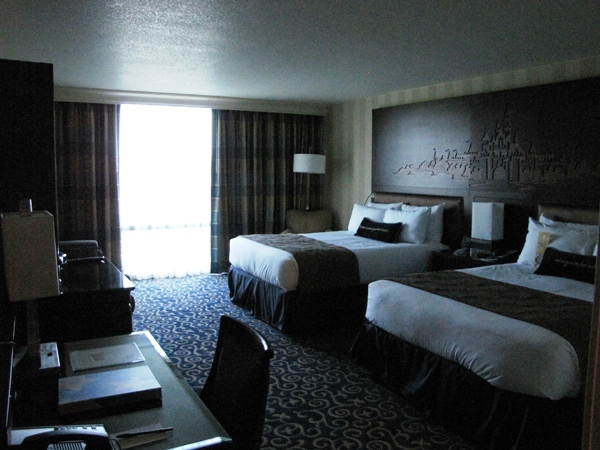 For the price of the room, the classic rooms are way over-priced, even for being a Disneyland Hotel room. The quality and size of the beds and the room amenities just do not justify the price for those rooms. 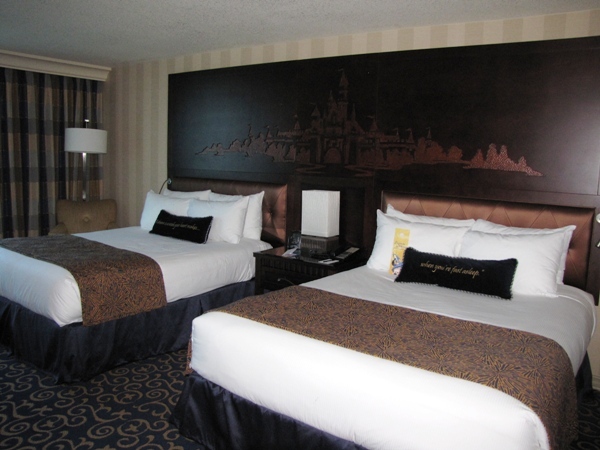 Had I stayed the entire time in the classic room, I don’t think I would be as impressed with the Disneyland Hotel as I was when I was able to upgrade to the refurbished rooms. There is a small price increase to get into one of the refurbished rooms (I paid an additional $40 per night). 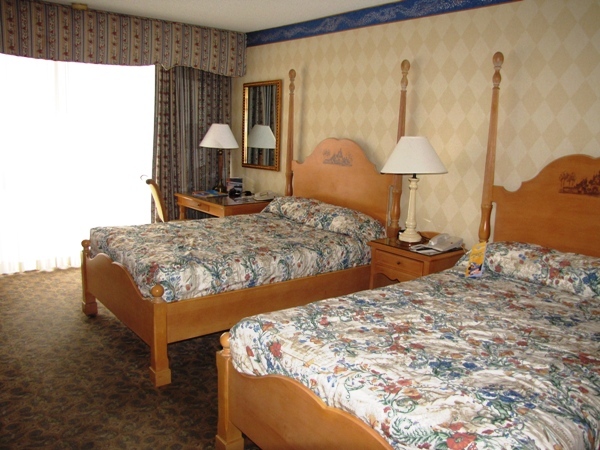 Compared to other Disney deluxe resorts, the price of the refurbished rooms is high, but close to most of the others. 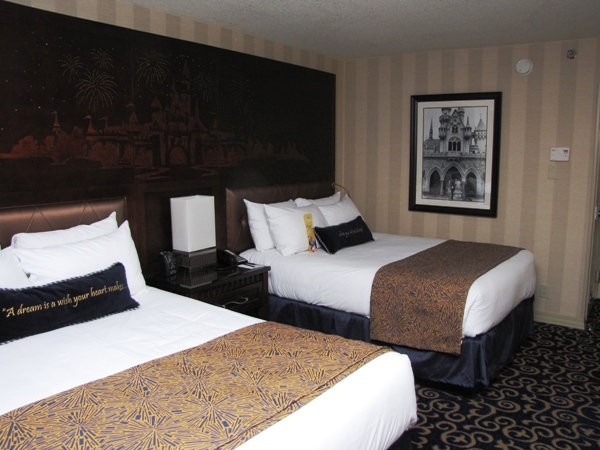 However the classic rooms compare more closely with a WDW moderate resort room and yet are priced as deluxe rooms. 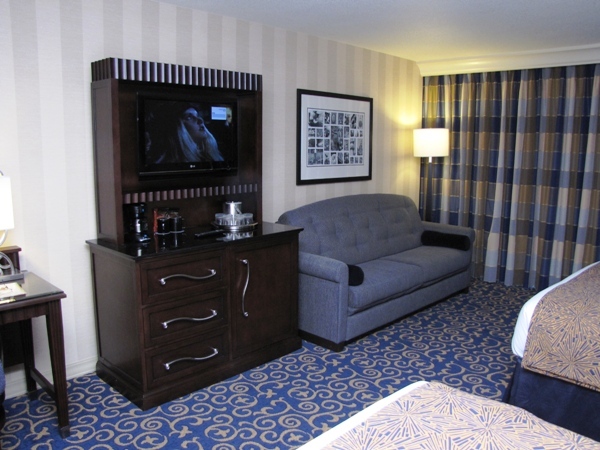 My recommendation is to be sure that you have a refurbished room reserved, otherwise look for other options. Everything considered, I really loved staying in the newly refurbished Dreams Tower. The new rooms are absolutely wonderful. I never minded spending time in the room just to be there. I can’t wait until all the rooms are upgraded. Until then, it’s great to watch the transformation. Next time I’ll talk about some of the upgrades and construction that are going on around the Disneyland Hotel property. Stay tuned! 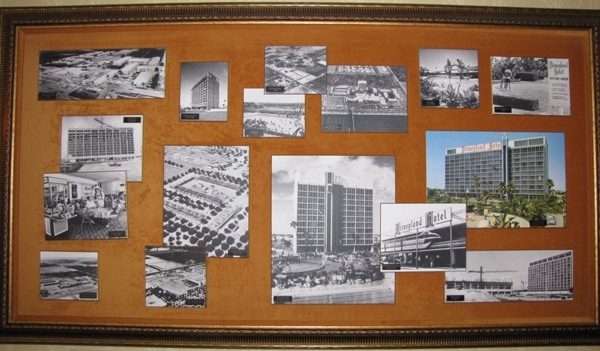 Magical Hotel – The early years of the Disneyland Hotel. 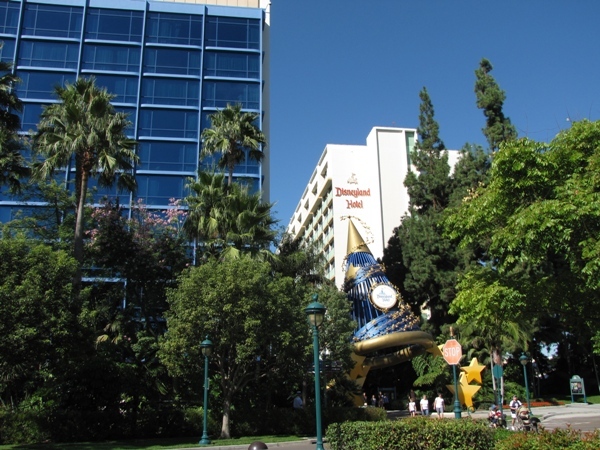 Yesterland – The original hotel buildings and the early Sierra Tower. Designing Disney – Disneyland Hotel: 1955 – 1965 and Disneyland Hotel: 1966 – 1988.